Piping Technology & Products, Inc. 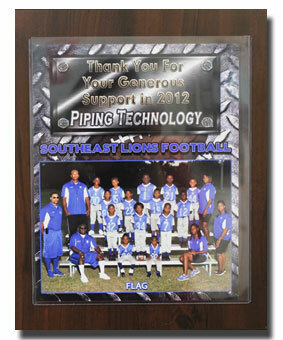 Supports the Southeast Lions Youth Football Organization for the 2012 Season | Piping Technology & Products, Inc.
PT&P supported the Southeast Lions Youth Football Organization in 2012.The Southeast Lions Organization is comprised of ten football teams and two cheerleading squads. With about 30 children per team, the organization provides uniforms, equipment, insurance and adequate play fields for their youth. The Southeast Lions believe that participating in athletics is one way of encouraging our youth to stay and school and feel good about themselves and others by developing a positive and caring attitude.